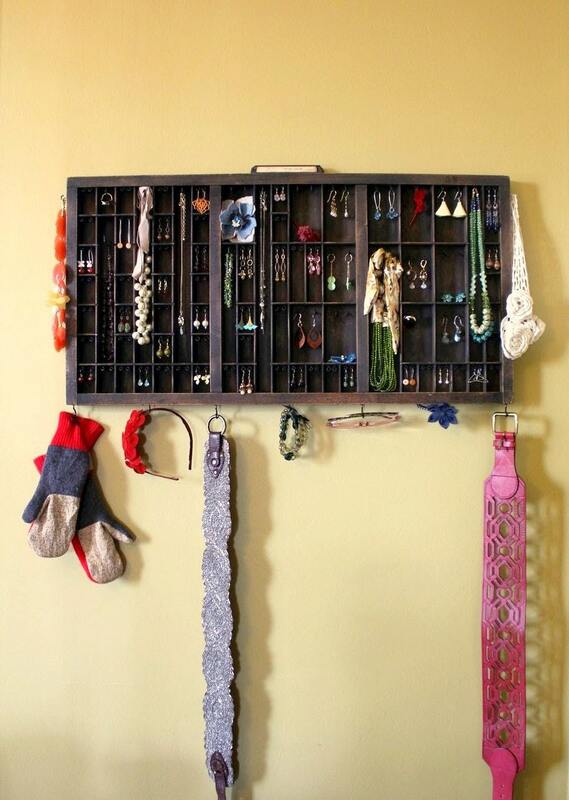 Your Jewelry will be worn more with this Antique Printer Drawer Jewelry display. 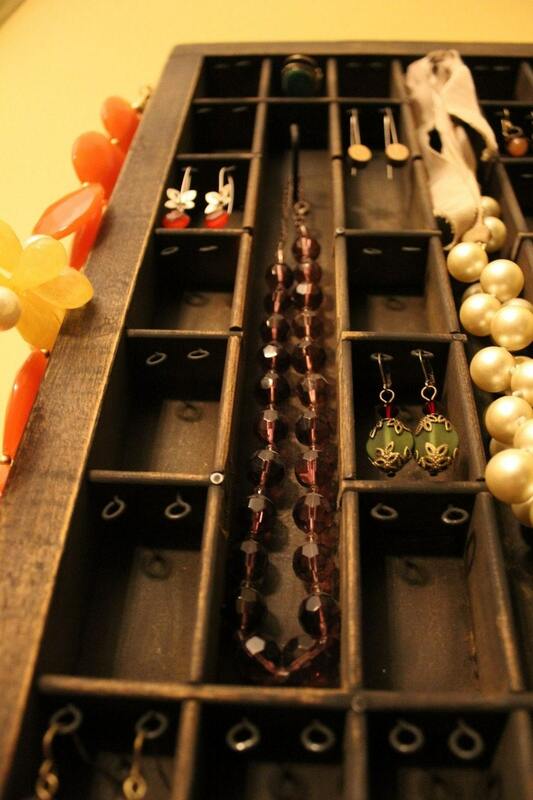 The vintage drawer has been reinvented to hold all of your earrings and more! 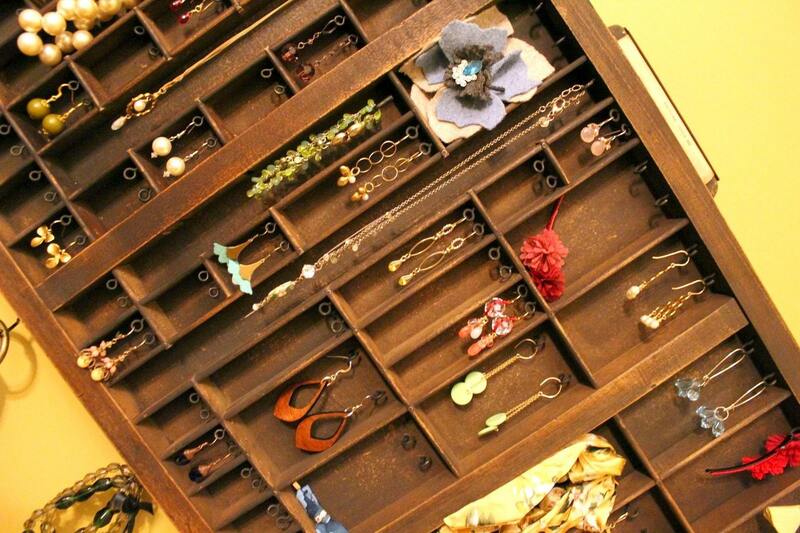 This listing is for a NATURAL WOOD drawer made to hold a variety of accessories. 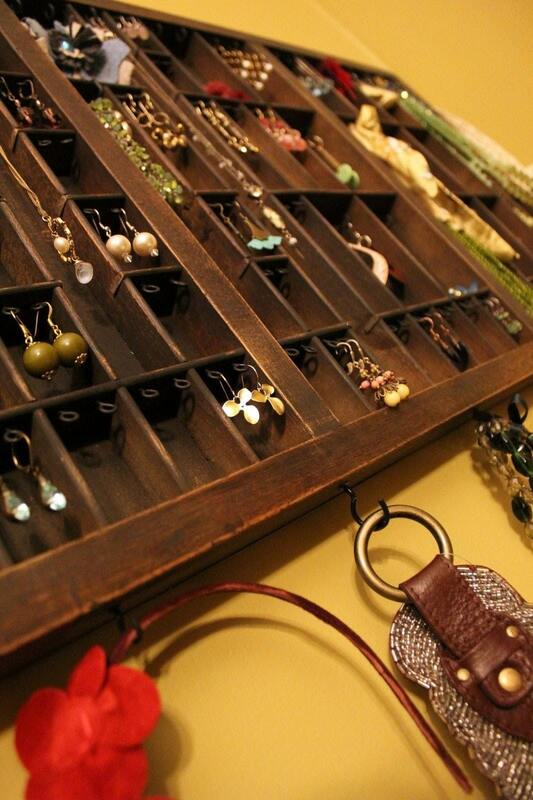 This unique creation is meant to organize your earrings, bracelets, and necklaces into a work of art. It fits most all jewelry with different hook types and a wide variety of box shapes and sizes. 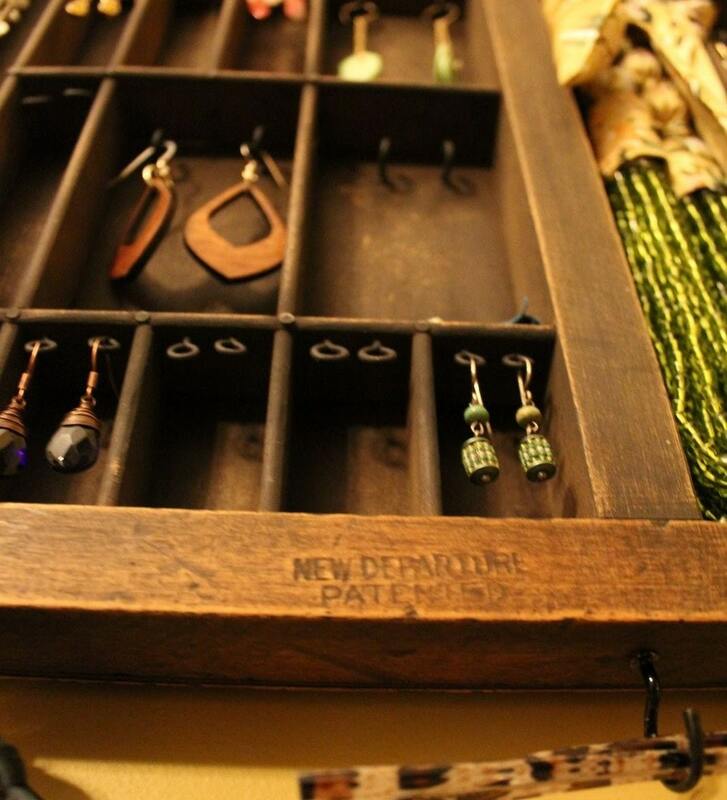 Stud earrings and brooches can even rest on the ledge! Rings hang well from the cup hooks! Ships in 1-2 weeks unless you contact me for sooner delivery! Please convo. with all questions!